(b) to facilitate exchange of ideas & information amongst scientist working in different research areas of Immunology.
. 1. 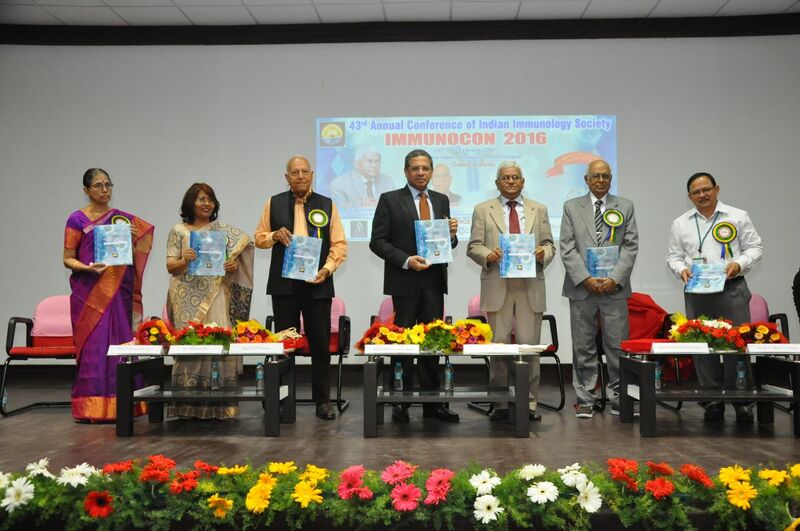 Name of the Society : "INDIAN IMMUNOLOGY SOCIETY" . Persons actively associated with the application of immunology and/or research and development in this or related fields are eligible for membership.Full membership is open to both medical and non - medical science graduates. Life members : A member paying Rs. 4000/ - (Rupees four Thousand only )in lump sum in cash or demand draft in favour of Indian Immunology Society, shall be a life member of the Society. Those desirous of becoming members of the Society shall apply in prescribed application form. The Executive Committee of the Society shall have the right to decide the eligiblity of any applicant for membership and its decision shall be final in this matter. If the decision is not unanimous,it will be decided by votes. For more information visit https://www.aiims.edu/dietetics-home/index.php?option=com_content&view=article&id=427〈=en. 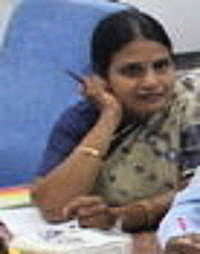 Ph.D. in Biochemistry from Lucknow University in the year 1976. 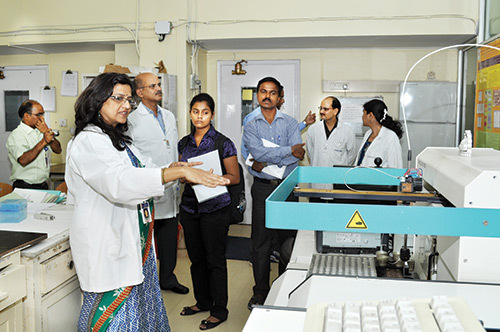 Post Doctoral experience at ITRC Lucknow and AIIMS. 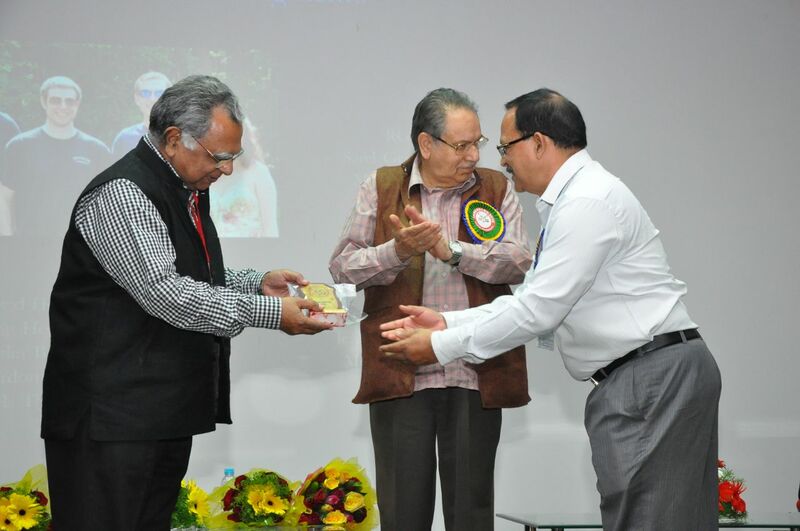 AIIMS faculty since 1984 in the Department of Biochemistry, Professor in the Department since 2003. Adjunct Faculty of the K.L. Wig CMET, AIIMS. Got Diploma Certificate in Medical Education Technology from Technology Transfer Centre, University of Dundee, Scotland, UK. 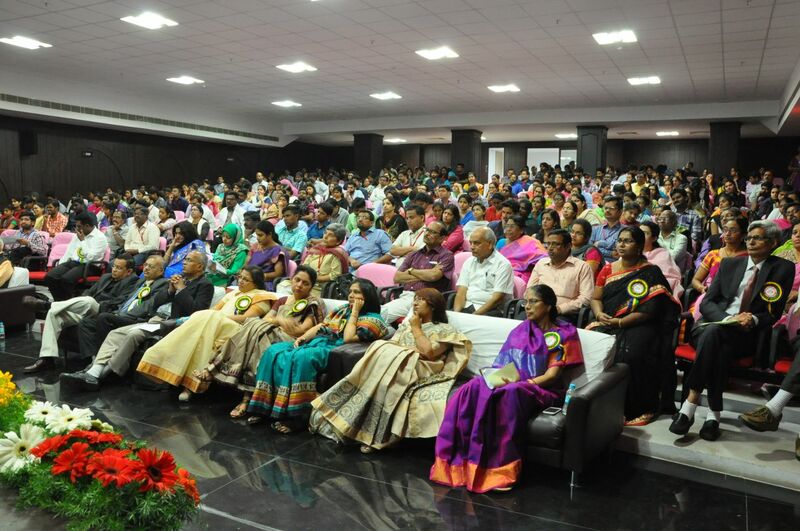 Involved in the curriculum reform for UG and PG for the Department of Biochemistry. Served as a faculty at the Arabian Gulf University for 2 years w.e.f. end December 1991, got trained in problem-based learning. Initiated PBL for teaching- learning of Biochemistry by the medical undergraduates. UG teaching co-coordinator since 1985. Research experience and projects include: Biochemical toxicology and immunotoxicology of pesticides; Influence of pesticides in cardiovascular disorder nutrition and communicable disease like TB; Complement and complement regulatory proteins in the pathophysiology of glomerulonephritis, RA and SLE; Genetic & biochemical risk markers for hypertension and coronary artery disease, severe complications offalciparum malaria; cytokine-complement interactions in autoimmune disorders and role of complement proteins as biomarkers for GN, RA & SLE. Recent interest is in the area of immunoinflammatory mechanisms of coronary artery disease and evaluation of complement proteins as disease markers. 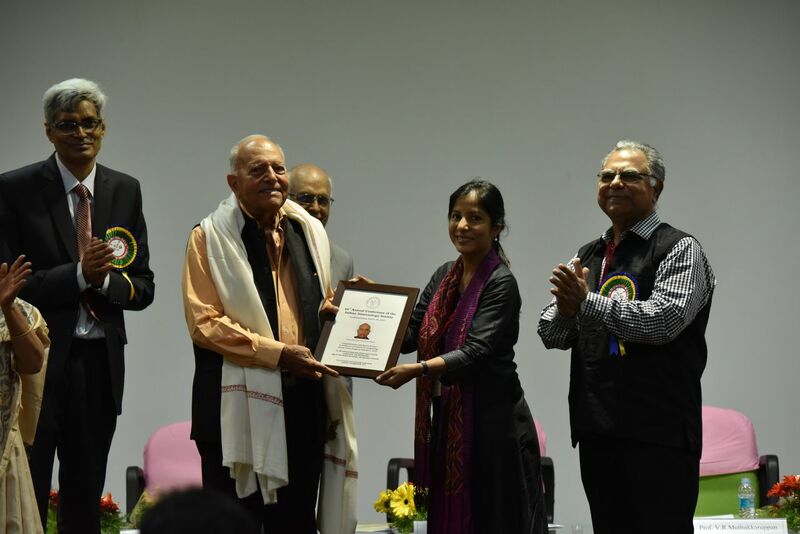 For more information visit https://www.aiims.edu/en/news/awards-honours/79-about-aiims/428-dr-nibhriti-das.html. The primary goal of the lab is to understand major biological processes at the molecular level with the ultimate aim of alleviating human diseases and to explore the diagnostic/prognostic markers along with novel therapeutic targets/agents. Our research focuses on the importance of the bone marrow microenvironment in multiple myeloma, role of T cells in immune evasion by tumour cells in urinary bladder and cervical cancer and to explore the anti-cancer potential of natural products. Our lab also aims to decipher the immunopathogenesis of autoimmune skin disorders (PV and Vitiligo). 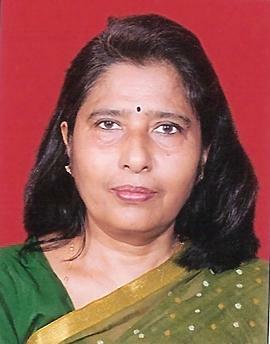 For more information visit https://www.aiims.edu/en/news/awards-honours/79-about-aiims/433-dr-alpana-sharma.html. For more information visit http://www.incredb.org/investigator.php?incredb_id=3. 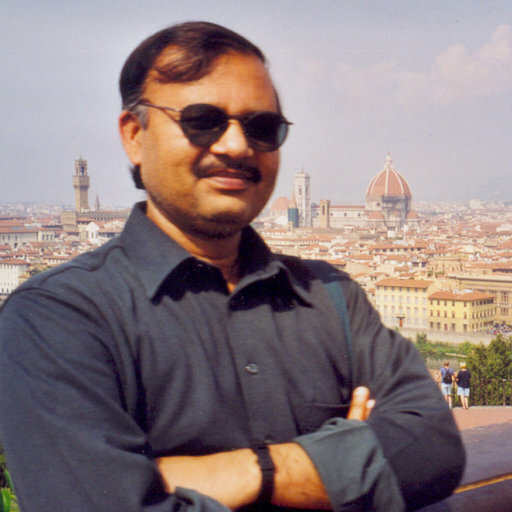 Dr. Shripad A. Patil is a professor and head of the department of Neuro-Microbiology at the National Institute of Mental Health and Neurosciences, Bangalore, India. Dr. Patil obtained his master?s degree in microbiology from the Karnatak University, Dharwad and a PhD in microbiology from the Agra University, Agra. He worked as a visiting scientist at the Division of infectious Diseases, Baylor College of Medicine in Houston, Texas, and at the Central Jalma Institute of Leprosy in Agra. His present research interests are in the area of molecules that cause auto-immune nerve disorders like Myasthenia gravis. 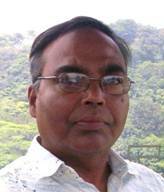 Dr. Patil is an author over fifty research publications in national and international peer reviewed scientific journals. 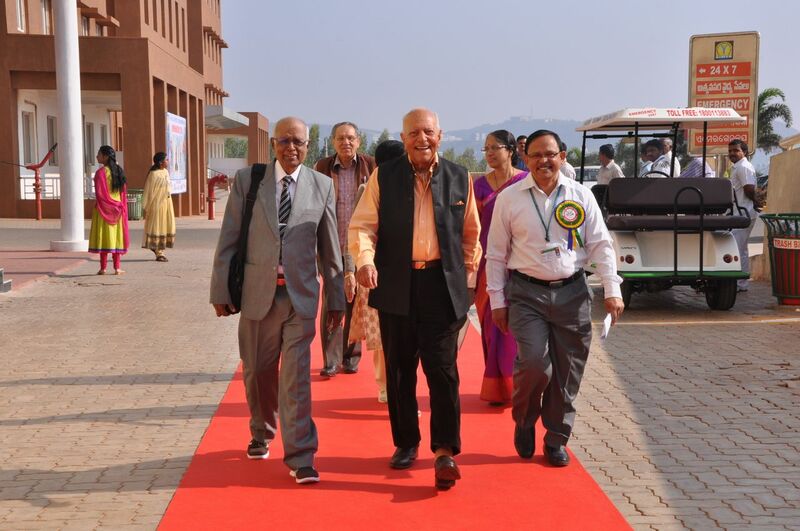 Dr. Patil is the recipient of Sir C.V. Raman award in medical sciences by the Indian Institute of Science, Bangalore in 2003. For more information visit https://www.researchgate.net/profile/Shripad_Patil2. Mitochondrial dysfuntion is a major factor in cancer cell death. However, it has been difficult to understand whether the degeneration of the mitochondria in these cells as well as in immune cells is a cause or effect of the cell death. One of the difficulties in the study of mitochondria in cancer has been our limited understanding of how damaged mitochondrial proteins and lipids are degraded in steady state. There are currently at least three distinct mechanisms known for mitochondrial protein turnover. Among them autophagic degradation and proteasome-dependent pathways are important. With the exception of the mitochondrial proteases, which have been studied for some time, the molecular mechanisms and regulation of mitochondrial turnover via autophagy is less well characterized. The project aims to investigate these molecular and cellular mechanisms that underlie these phenomena using breast cancer cell line models and other cancers. For more information visit http://www.caluniv.ac.in/academic/department/Zoology/Arindam-Bhattacharyya.pdf. Dr Savita Kulkarni, Senior Scien- tific Officer at RMC said, ?There are 35 million deaths in India due to TB and the death rate is two deaths per three minutes. This is very alarming, particularly with the emergence of multi-drug resistant tuberculosis. Hence, we are identifying the virulence of different strains of Mycobacterium tuberculosis in the context of their interaction with the patients? immunity. We also carry out anti-TB drug testing service. For more information visit https://www.researchgate.net/scientific-contributions/50114850_Savita_Kulkarni. For more information visit https://www.researchgate.net/profile/Kaustuv_Nayak. For more information visit http://www.vpci.org.in/pageLevel.php?id=11&cat=implinks⊂id=77⊂cat=implinks_sublinks_sublinks. Currently working on HLA immunonogenomics of south Indian population groups including tribes and gypsies. Profiling HLA in diseases such as diabetes, cardiac disorders, kidney failure (adults) and nephritic syndrome (pediatric). Operating research projects funded by DRDO and BRNS. As Course Co-ordinator, offering DBT sponsored one year post M.Sc advanced Diploma in Molecular Diagnostics since 2008-2009 (five years program). Extending HLA tissue typing and cross-match services to various hospitals of southern Tamil Nadu for more than two decades. Periodically conducting training workshops for research scholars, teaching staffs from various academic institutions in the area of Immunology and Immunotechnology. Participated in the National Geographic sponsored project ? ?The Journey of Man?. For more information visit http://www.genomicsmku.org/FAC%20PROF/Balakrishnan.php. 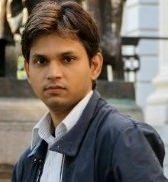 DR. AMIT AWASTHI, Ph. 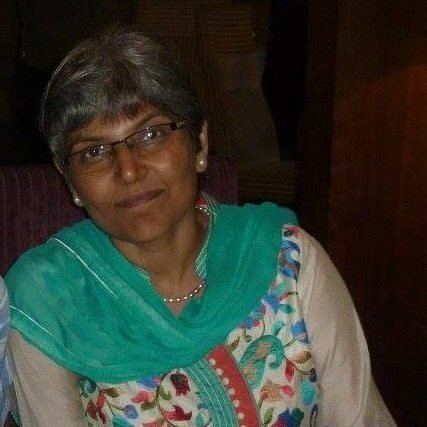 D. Associate Professor +91-129-2876482 (+91-129-2876482) aawasthi [at] thsti [dot] res [dot] in Instructor (Junior Faculty)Harvard Medical School, MA, USA Postdoctoral Training from Brigham and Womens Hospital and Harvard Medical School, Boston, MA, USA Ph.D in Immunology from National Center for Cell Science, Pune M.Sc. in Biotechnology from Jiwaji University Gwalior Present Research Interest Present research interest lies in the area of understanding the interplay between effector and regulatory T cells in IBD and gut infection. Understanding T cell differentiation pathways in immunity, autoimmunity and cancer immunity. For more information visit http://thsti.res.in/profile/Amit-Awasthi. For more information visit https://www.researchgate.net/profile/Vandana_Pradhan. For more information visit https://www.researchgate.net/profile/Taruna_Madan. 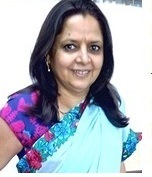 For more information visit https://www.aiims.edu/en/news/82-biochemistry/6165-dr-archana-singh.html. For more information visit https://scholar.google.co.in/citations?user=tq3psfgAAAAJ&hl=en. For more information visit https://scholar.google.co.in/citations?user=vqSEFM4AAAAJ&hl=en. 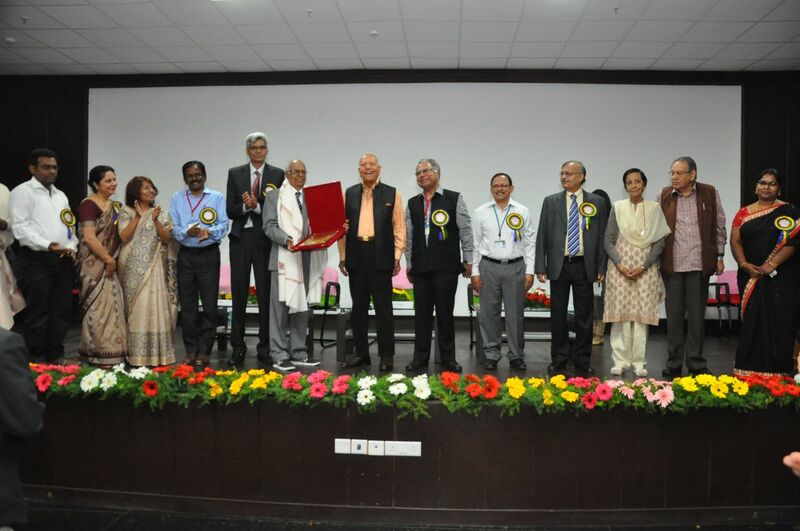 This award is given to an eminent scientist for outstanding and significant contributions in any area of immunology. The individual should have been actively engaged in the field of his/her research over a number of years and should have shown sustained activity. The criteria for the award are as follows: The nominee should be a member of the Indian Immunology Society for at least five years, The nominee should produce evidence of his/her outstanding research work carried out in the country, The nominee can nominate themselves or be nominated by any member of the society, The nomination should include the following: A copy of the updated CV. A list of publications. A brief note, not exceeding 500 words highlighting research contributions of the nominee. A citation index. 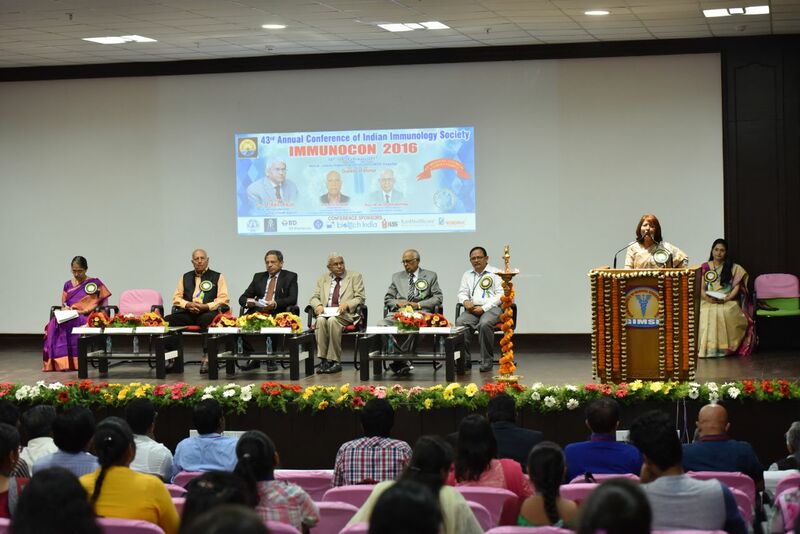 If selected for the Senior Scientist Oration award, the awardee will be informed at least one month before the annual meeting of the Society. The awardee will be requested to deliver an oration of 45minutes? duration at the Annual meeting of the Society. The award carries a certificate of honor and cash prize of Rs. 30,000/-. A medal will also be presented after oration. cash prize and a certificate. This award is given for the life member from eight years The criteria for the award are as follows: Should be a member of the Indian Immunology Society, Should be between 35 and 50 years of age at the time of the application, Should have done original research in any area of Immunology in India A copy of the updated CV. A list of publications. A brief note, not exceeding 500 words highlighting research contributions of the nominee. A citation index. If selected for the award, the awardee will be informed at least one month before the annual meeting of the Society. 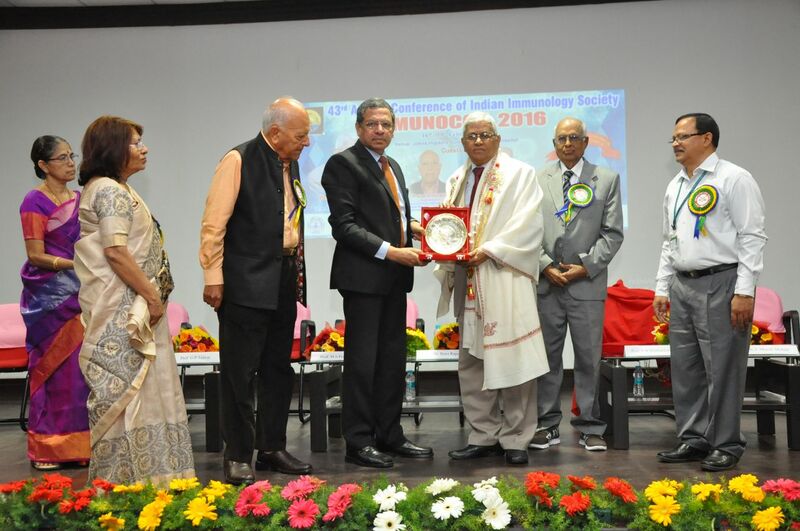 The awardee will be requested to deliver an oration of 30minutes� duration at the Annual meeting of the Society. The award carries a certificate of honor, medal and cash prize of Rs. 15,000/-.cash prize and a certificate. 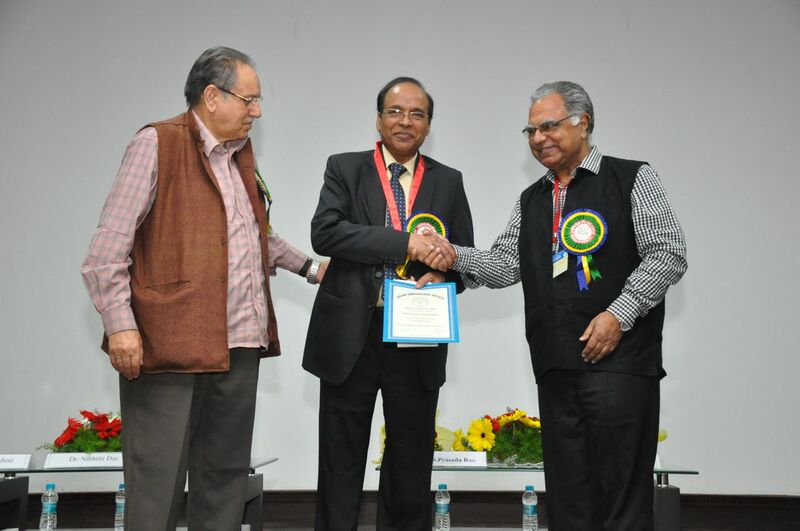 Two awards are given annually at the time of the Annual meeting of the Indian Immunology Society The criteria for selection for the award are as follows. The nominee Should be below 35 years of age at the time of the application, Should be a life member of the Indian Immunology Society for minimum two years, Should have done original research in any area of Immunology in India The nomination should be submitted through the Head of the Department or through the Supervisor of the Candidate. It should include a copy of the CV of the candidate, list of papers published if any, and an abstract of the presentation (250 words in a CD) which will be included in the booklet that will be printed by the organizers of the annual meeting. The award carries a certificate, a medal and a cash prize of Rs. 10,000/-. cash prize and a certificate.